To ask Jonathan Eig questions, please sign up. 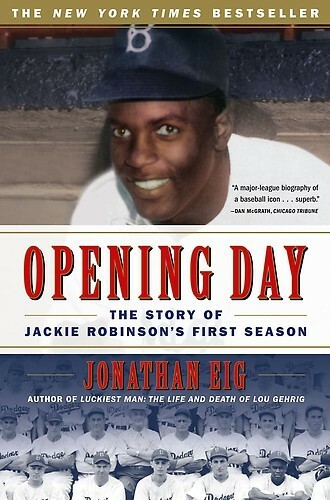 will there be a another baseball book? Chicago is a rich resource for ideas. Are you currently writing about Chicago? Jonathan Eig I'm writing about MLK--which means some strong Chicago chapters. Thanks for asking! Bonnie Loved your book on Capone and the book on the birth control pill. I’m excited to see how people react to the new Ken Burns documentary on Jackie Robinson–not only because I think it’s great work but also because I’m always curious to see how people respond when their myths are challenged. "What an amazing story collection. I love Roxane Gay's writing but had only read her nonfiction until now. I was not disappointed. We’d love your help. Let us know what’s wrong with this preview of Ayiti by Roxane Gay. Jonathan voted for Rocket Men: The Daring Odyssey of Apollo 8 and the Astronauts Who Made Man's First Journey to the Moon as Best History & Biography in the Final Round of the 2018 Goodreads Choice Awards. We’d love your help. Let us know what’s wrong with this preview of Rocket Men by Robert Kurson. What work of non Fiction would you like to read in August?